Additive Manufacturing is making its way up in different sectors of retail. 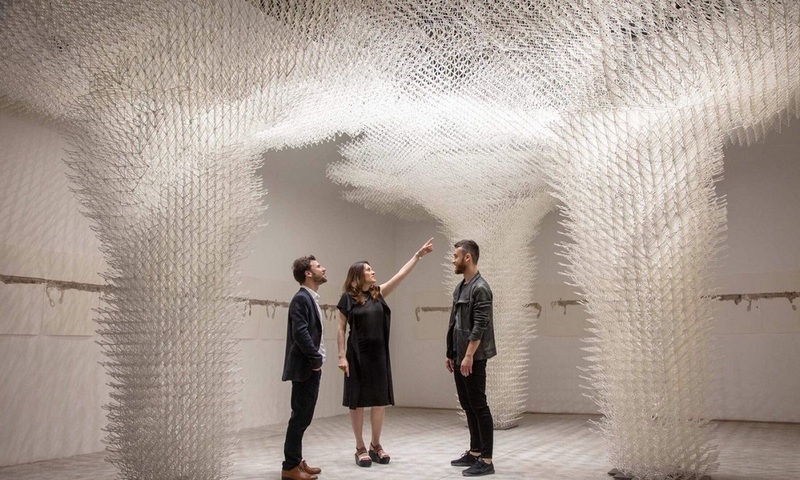 From 3D printed washing machine parts, electronic components, to 100% sustainable shoes, companies try to create a totally new and improved customer experience. And the latter factor is the key to be successful in the retail industry. On top of that, 3D printing has a great influence on the production process making it more efficient and effective. Find all the advantages of Additive Manufacturing and the most interesting examples of 3D printing in the retail industry with our blog post! The retail industry benefits from 3D printing in many different ways and surely there are even more to come. For now, it speeds up the production, reduces the costs and inventory waste, allows for custom-made and highly personalized product design. How do we get all those amazing perks just from one technology? On average, additive manufacturing produces parts faster than traditional manufacturing technologies, such as foundry or injection molding. It can be even faster if you use a 3D printing service like Sculpteo: all you need to do is to upload a 3D model and your parts will be delivered to your door in no time. With some 3D printing technologies, you can also print interlocking parts which are impossible to do with traditional manufacturing methods. It also speeds up your production thanks to the reduction of assembly time. 3D printing is also widely known for being highly beneficial for prototyping. 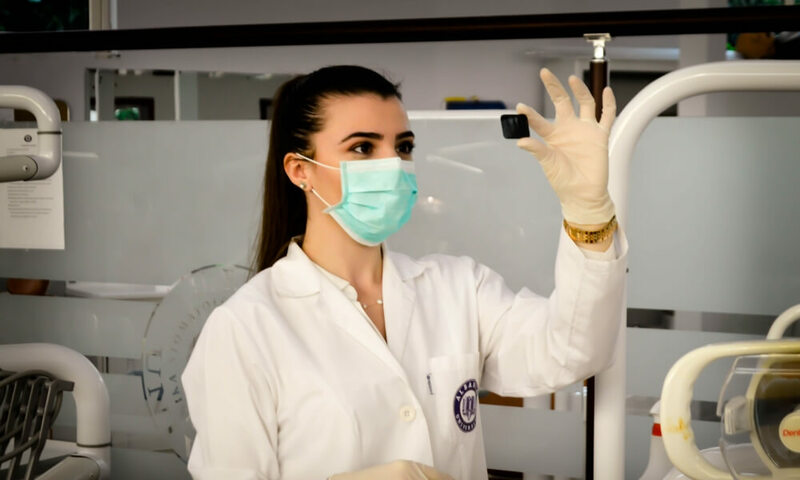 It can speed up the design process, and therefore the whole production, as it delivers highly detailed prototypes ready to perform tests in no time. 3D printing allows modifying the current system of the supply chain: suppliers, manufacturers, distributors, and retailers. With the innovative technology, retailers can skip the line if they invest in 3D printers right inside the store or warehouse. That solution saves up a lot of time and money. Nowadays retailers have to predict the upcoming trends and adjust the purchase of the goods accordingly. That’s a tough task and means that one poor judgment can result in huge inventory waste. With 3D printing that’s no longer a problem, as ordering the products is easy and your products will be delivered just in time. 3D technology methods allow for the production of very detailed design with different materials, such as our strong Nylon PA12 or flexible PEBA. Customers are more and more demanding and their hunger for custom-made products grows rapidly and the retail industry has to constantly try to find ways to meet their expectations. 3D printing is just the right answer for those needs. For instance, it will provide your customer with perfectly fitted 3D printed shoes thanks to 3D scans of the customer’s foot, also in their favorite color thanks to a wide range of materials. Did your vacuum hose broke or a hanger just broke? No more wasting time looking for the replacement parts. 3D printing is here with your brand new spare parts. Even if the manufacturer stopped producing the product a long time ago, they could forever keep the 3D model and allow for printing it. 3D printed products can perform just as well, if not better, as the original parts. Let’s have a closer look at some real-life examples of how beneficial 3D printing is in the retail industry. Wake up call for Electronic retail industry: 3D printing is coming! Additive Manufacturing technologies can be used in various ways in electronics retail. Some are more obvious, such as 3D printed parts and components, not always visible to the user. We also already talked about 3D printed electronics and even using Additive Manufacturing to 3D print car sensors. Other examples of using 3D technologies are more creative, for instance, 3D printed alarm clock in a coffee jar. Check out our picks! Are you a coffee lover? Or maybe you aren’t, but you still need that boost of energy every morning. 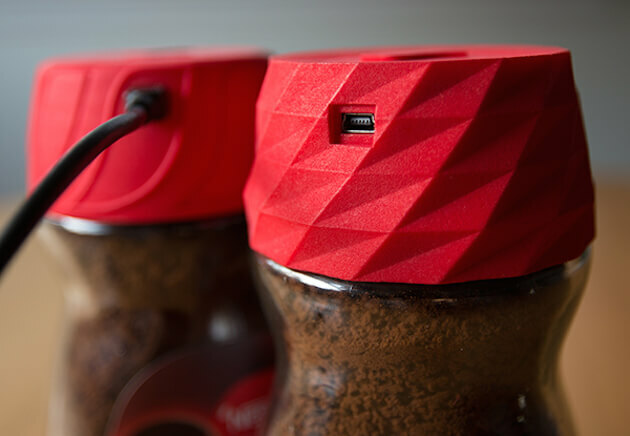 Thanks to 3D printing your coffee jar can wake you up! Nescafe is one of the most known coffee brands in the world, and they decided to give even more to their customers than just their delicious coffee. They gave them a surprisingly pleasant experience of their coffee jars waking up their clients. The jars came with a 3D printed cap with an electronic alarm clock inside. 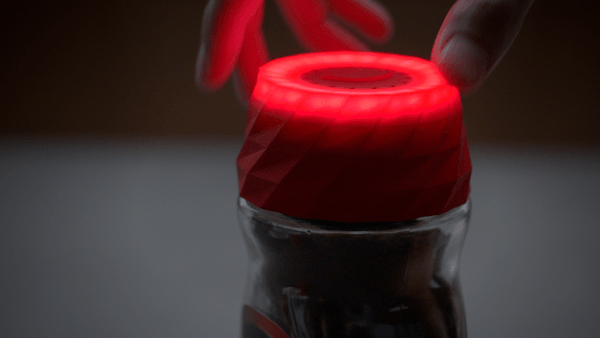 The 3D printed cap lights up in red and plays nice tunes to awaken you. And to turn it off, their clients have to open the jar. And that’s the moment when the smell of your favorite coffee is released. For a retailer that means building a strong connection between the brand and the client, by influencing their customer’s senses: hearing (the alarm music), eyesight (red cap and light), touch (the 3D printed caps had different textures) and smell (of the coffee of course). This is the creation of the ultimate customer experience and branding, achieved all thanks to Additive Manufacturing. What about keeping your 3D printed food in a 3D printed fridge? Whirlpool is a big name in the retail sector and they also have seen the potential in Additive Manufacturing. They have been using it for rapid prototyping, but also went a step ahead and they implemented the technology in the aesthetics of their products. If that wasn’t enough, Whirlpool made the best of 3D printing and sped up some of their production processes from 14 weeks to 1 single day. Yes, just 1 day instead of 14 weeks (which by the way, is 98 days). That’s exactly how long it took them to 3D print a mold for refrigerator doors. And the 3D printed molds for the door performed all the test perfectly on the production line. Without a question, IKEA is the most well-known brand of 21st century across the world. If they want to keep that up, they have to be ready for any innovative technologies that could improve their product design and production systems. And that’s why they proceeded with implementing 3D technologies into their production. Thanks to 3D printing they designed personalized, interactive and ergonomic video game equipment. Such a high level of details and customization of the products wouldn’t be possible without Additive Manufacturing. 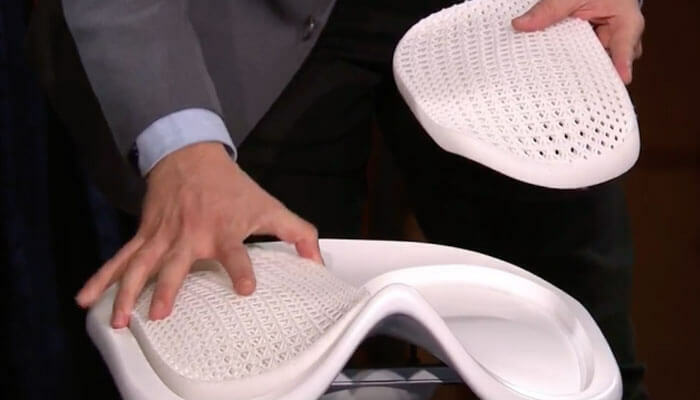 For a greater level of comfort, the first prototype, a 3D printed chair, was presented with features more suitable for gamers. To achieve, the goal is for the person to 3D scan themselves for the ultimate personalization of the chair. And thanks to 3D printing the customer would receive the chair in just 2 weeks. Wouldn’t such customization and fast service keep your customers happy? IKEA didn’t stop just with 3D printed chairs for gamers. 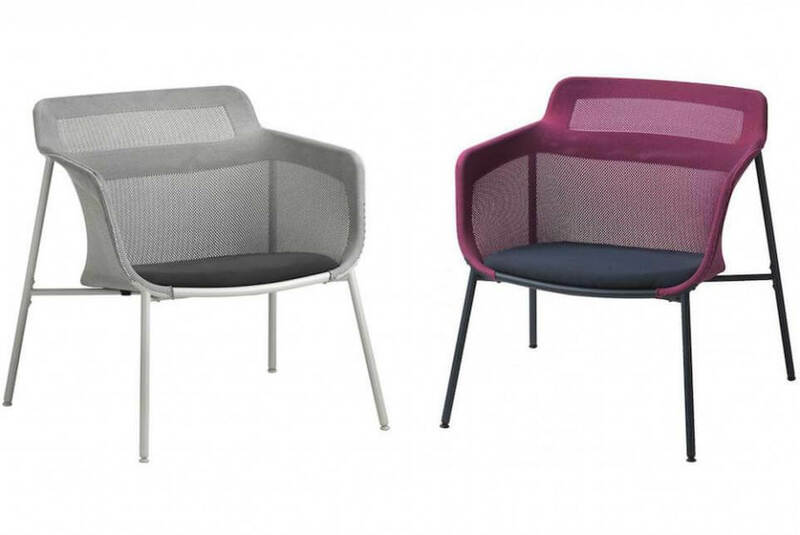 If you’re a fan of natural fabric and more traditional chairs, IKEA has been working on 3D knitted chairs. Thanks to the 3D technology and its ability to shape the material, which is also seamless, the fabric perfectly fits the frame. Moreover, according to IKEA, it’s also extremely durable and will last for years. Once again, 3D printing is bringing a huge change to the retail sector. Customer experience is essential in the retail industry. Depending on the experience your clients will have at your store, they will either keep coming back or they will choose your competitors. So it’s essential to provide them with the best service possible. 3D printing can also improve that for you. Let’s see how the retail Titans in automotive and e-commerce have done it. Home Depot is the second largest retailer in the US and they wouldn’t make it that far without excellent customer experience. Again, they saw the potential in Additive Manufacturing. A major part of their customers was looking for a replacement and repairing tools and parts for their homes and businesses to keep running. Now, in Home Depot’s stores, their clients can see live 3D printing demonstrations to get more familiar with the 3D technology and understand that 3D printed parts can be just as good, if not better, than the original ones. They can also learn more about practical applications of Additive Manufacturing and see some samples. How amazing would be the future of just entering the shop, getting your parts 3D printed and fixing the broken equipment at home? ŠKODA is one of the most well-known retailers in the automotive industry. To bring an even better experience to their customers, they launched a campaign where the client would get a little something extra when coming for driving tests with the cars. This, seemingly small addition, was a mini 3D printed ŠKODA car created with our service. The customer could design his own model of his dream car, and thanks to our online 3D printing service, the 3D printed model was waiting for him at his car’s dealer’s door in no time. This campaign brought to the company’s clients the feeling of high personalization and the power of designing their own car model from their desk. Such a move definitely would benefit your business with a high customer satisfaction. The fashion sector has probably been the most well-known branch of retail for using 3D printing. The biggest issue in the fashion industry is sustainability. We produce more than we can consume. It also leads to losing money with products that can’t be sold. Additive Manufacturing comes to help! It allows developing new technologies and materials. 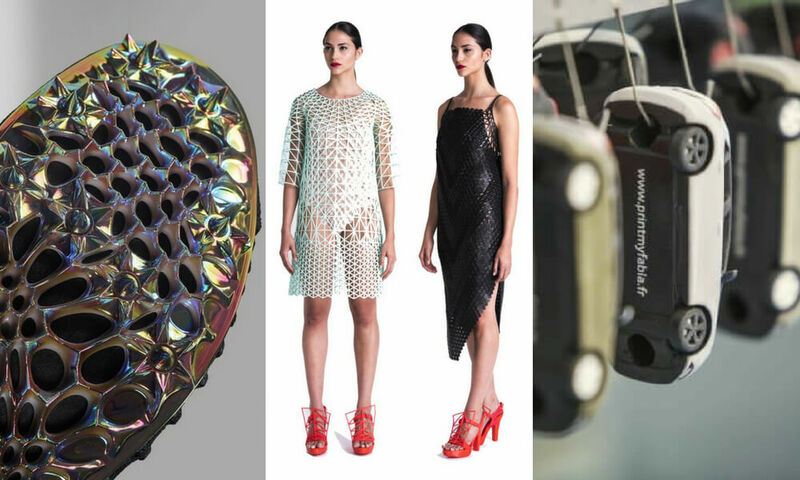 We reached times where 3D printed clothes are not just prototypes, they are fully functional end-use products. Moreover, the 3D technology revolutionized not only the clothing area of the fashion retail industry but also footwear. Let’s see the most game-changing projects. Danit Peleg is a fashion designer and also the creator of a platform on her website, enabling customers to personalize and order the world’s first ever 3D printed garment available to purchase online. In her work, she is focused on challenging the ecosystem to provide her with new materials and 3D printing techniques to develop environment-friendly clothing. Getting inspiration from nature is called biomimicry. This way of thinking certainly helped Peleg to make a breakthrough in the fashion retail industry with her 3D printed products that the customers can have without leaving their house. The real retail innovations: no more waiting for delivery and chasing the courier, you new, high fashion clothes will be ready, coming straight out of your 3D printer at home. We already talked about the shoe industry giant Adidas. 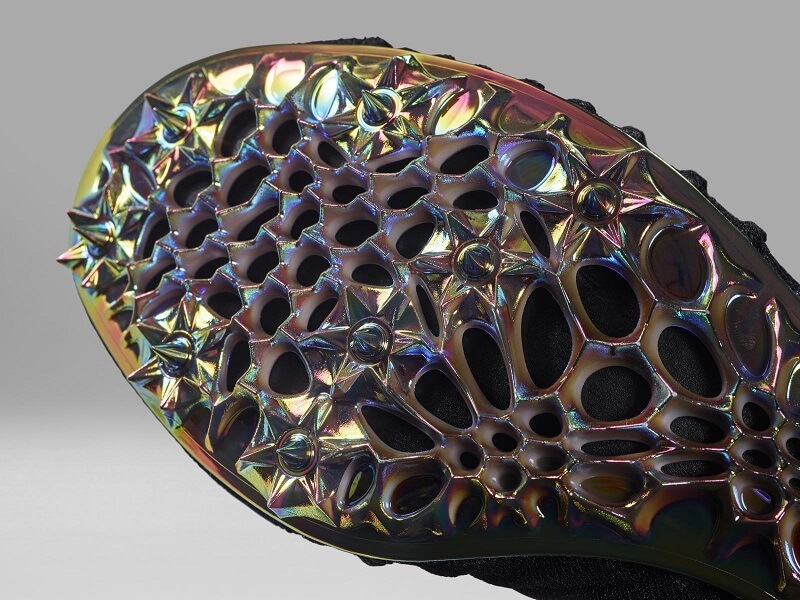 Thanks to 3D printing, Adidas could launch a mass production of highly personalized shoes with 3D printed soles. But their competitors are watching. Nike came with game-changing Zoom Superfly Flyknit shoes for an Olympic medalist Allyson Felix. 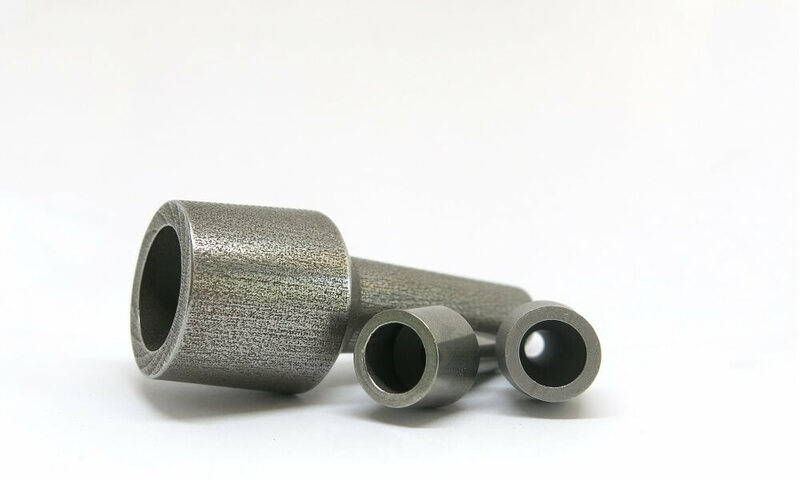 Thanks to Additive Manufacturing their production process was much quicker as Nike used 3D printing for rapid prototyping, giving them more time to perform all the necessary tests. Additive Manufacturing was also used to design the spikes of the shoe, a crucial part for running performance. It also meant less material waste as the 3D printing technology is very accurate, allowing for great complexity of the design, otherwise unreachable with traditional manufacturing methods. This is the new future of retailing and highly customized 3D printed products. 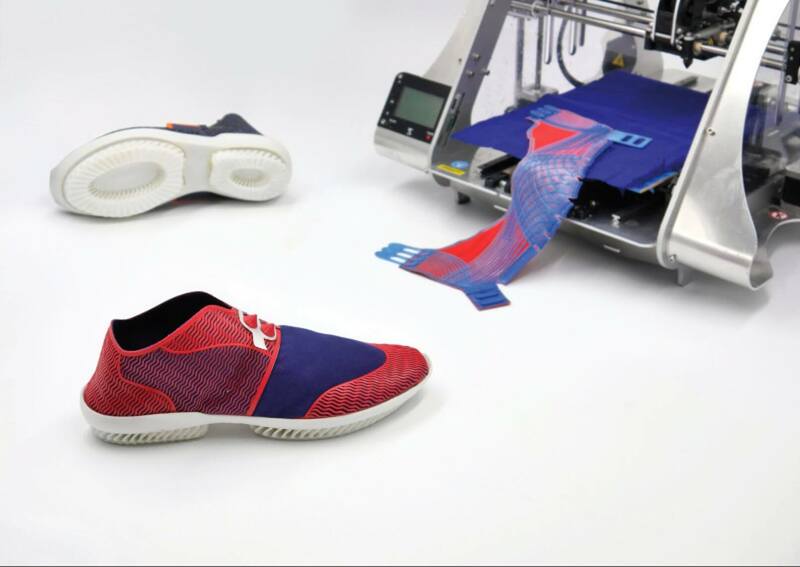 100% 3D printed and 100% sustainable sports shoes, is it even possible? Yes! The retail industry has to brace itself as 3D printing is the new green. Using 3D technologies, two students managed to design a fully automated concept of biodegradable footwear. On top of that, it gives the freedom of design to the user. And we know that customers like to feel special and have one of a kind products. Now, the shoe will be perfectly fitted as they take pictures of their feet for the ultimate comfort and customization, then they can choose the design of the shoe, which is sent to a 3D printer. If that wasn’t enough thanks to the amazing possibilities of Additive Manufacturing the shoes don’t need any additional gluing or sewing. It brings their customers amazing experience of design freedom and great personalization. Can 3D printing change the retail industry? Additive Manufacturing is already doing that! We have to be open to new technologies and discover the best of them. Thanks to 3D printing, big fish such as Siemens or Nike are shortening the production process from weeks to days. That also means entering the market with a new product faster which can also lead to making a profit faster than your competitors. 3D printing is not only about reducing costs and time of production, but can also bring the customer experience to a totally new level of the ultimate customization and personalization. This aspect of 3D printing in the retail industry goes not only for fashion, which uses it to provide their customers with the most comfortable and custom-made clothing. Positive customer experience is generally so valuable in the retail industry. 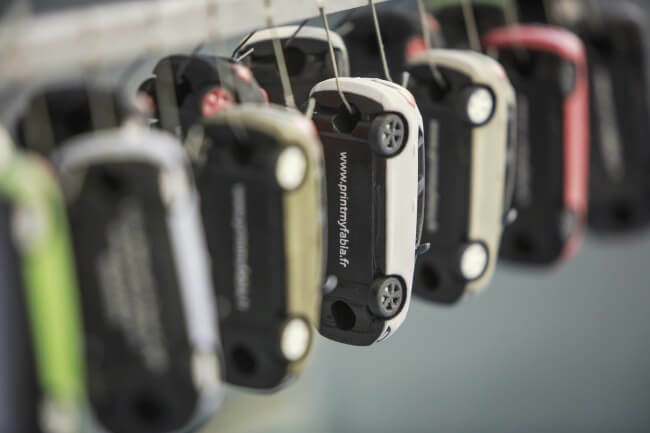 Additive Manufacturing can be used to give your clients a little bonus, which will make your business stand out from the crowd, bring more attention to your product and make it more memorable, just like mini Skodas. The world’s biggest companies in different branches of the retail industry such as Adidas, Whirlpool or IKEA are already using 3D printing for faster production, costs reduction, and high level of customization. Is it time for your business to be improved with Additive Manufacturing? Start working with us now on your 3D printing projects! Contact our sales team, or upload your 3D model on our website.